All Things Leisure | Taking time to consider our "free time"
I study, research, and write about leisure. But today, I’m finalizing my preparations for a work-related adventure that seemed a worthwhile topic to write about. For the last three years, I have been focusing my attention on developing a writing practice. I have read about writing practice. I have sought out and engaged in writing “communities of practice” – mainly online writing communities. I have even tried establishing a writing community within my own Faculty. I have done on-line writing retreats – afternoon-long ones with supportive calls between writing sessions and ones that have stretched over a couple of weeks with a focus on writing 2 hours a day. Through each and every endeavour, I have learned more about writing and about myself as an academic writer. I initially planned to go on a solo writing retreat over the Christmas break. As I assessed the writing projects I had on my plate and the looming deadlines, I felt the need to set aside time and space to focus on writing during my university’s study break. I had some idea of how to successfully orchestrate something of this nature, but through reading scholarship on writing retreats as well as writers’ (academic and non-academic) blog posts about their retreat experiences, I was more aware of some of the key elements of success. Getting Away. To begin, I needed to chose a destination. Although writing retreats can happen without leaving one’s community, I wanted to get away so looked for advice in that regard. I appreciated the idea that the travel to the writing destination could serve as an opportunity to disengage from everyday life and transition into a mindset dedicated to writing. I heeded the advice not to travel too far away and risk arriving tired. I even found suggestions for podcasts to listen to on the way to support arriving inspired (e.g., “88 Cups of Tea” podcast). The other suggestions for the destination were related to taking care to choose a space to write that offered inspiration, and a place (community) that did not offer too many distractions. I started looking for accommodation options in a small university town that was about a two-hour drive away. I was instantly drawn to an Airbnb loft apartment that was a converted, century-old schoolhouse. The windows were large and the images showed the sun shining in beautifully. The decor appealed to me. It was not cluttered. It was close to the trail if I needed to get out for a walk. knew I was going to be spending most of the day in this space and when I saw the images, I knew that would not be a burden. The image from the Airbnb site that made me want to book my spot! Co-Writing and the Semi-Solo Part. Subsequent to booking my spot, an academic from one of my writing groups, reached out about creating a writing community within her Faculty. We connected around our shared desire to develop a community of practice. I told her about my planned solo retreat. She works at a university in a neighbouring province and asked if I would be open to co-writing (working on our own projects, but in the same space) once a day if she travelled to the same community to also do a solo retreat. This sounded like a great opportunity for support with accountability and some social interaction that might eliminate the potential to feel “lonely” during the writing experience. Over the course of the next 6 weeks, we communicated a couple of times about a schedule – both identifying late afternoon, after several hours of solo writing had happened, as a seemingly ideal time to meet-up, review our progress, celebrate our successes, revise goals for the next writing session, and co-write. We planned 7 hours of solo writing for each day and 1.5 hours of co-writing. She is more of a night owl and will do writing up until midnight – I will be in bed by 9:00 p.m. to maximize my “tiger time” – starting to write at 5:30 a.m. However, we both agreed that 3:30 p.m. would work as a meeting up and co-writing session time. This week, a woman from the town we are staying in decided to join us and will be checking-in and co-writing with us – so we will be a writing trio. Prepping for the Writing. The next step was to prepare. In the reading I had done about academic writing retreats, I knew that it was important to have clear goals and objectives. Turning on the computer and wondering, “Okay – what project should I work on” would not allow me to maximize the precious time I had set aside for writing. I had read that some people have success when they focus on one project, others are more successful when they can switch between projects to maintain momentum when they hit a road block with one. Not knowing exactly which type of person I was in a multi-day retreat setting (but also figuring that I might get distracted or demotivated when I got stuck), I decided to plan out work for three different projects including one that I could work on for all the hours if I wished. Through one of the writing groups that I have been a part of (Academic Women’s Writing Collective), I had been introduced to a project management program called Trello. While I had participated in an online workshop about this program, I had yet to use it. I decided this was my opportunity to try it. I spent about 5 hours over a period of a couple of days carefully considering each writing project and determining what each project needed. For example, one manuscript I was working on with a co-author, needed an abstract, a bit of work on the methods section, and the discussion section needed work. For each of these pieces, I broke the work down further where possible. The more clarity about what writing tasks I need to be engaged in, the better I expect I will focus. I also then created lists in Trello (on the same board) for the first three writing days. I was strategic for the first evening 2 hour writing session – picking the easiest things I have available to work on. I want to experience success. On my first full day, I planned out what I could do for each of the three projects, but also know that if I get on a roll, I can maintain focus on one project. I have time scheduled each day to review my goals and to set new goals for the next day (something else I read as being a key to success on a writing retreat). Prepping the Food. With all the detailed planning done, my final effort turned to planning and preparing my food – my meals and snacks. On retreats that are organized by others, one of the selling features is “delicious meals” and “snacks available” that you “don’t need to think about”. I decided that I could do this for myself. I would arrive with my meals made and designated. No wasting time thinking about what to eat or wandering around the local grocery store. So, I have a soup ready, a quiche, smoothie kits for breakfast, veggies cut up and bagged for snacks and for salads, a bag of popcorn, nuts – I will be sustained. Prepping for Leisure. After each writing session (2 hours is the maximum session), there is time built in for leisure – an hour of it. Part of what I need from this retreat is to relax, enjoy solitude, and re-energize. I have carefully selected books and magazines that I will enjoy perusing. I have access to a walking trail which I imagine I will make use of to get fresh air. I have packed up my adult colouring book and pencil crayons. The place I am staying has an awesome bathtub which I plan to enjoy soaking in as well. And, I will have music that I can simply sit and listen to. No dog to take out. No rooms to clean. That hour between writing sessions will be just for “recovery” (the term used in some of the material I’ve read about writing retreats). So, I’m excited to head off tomorrow and will see what happens. Hoping to at least move some of these projects forward, feel a sense of community in my academic writing, and feel refreshed from some time away. It’s another Bell Let’s Talk Day in Canada. This year, I wanted to bring focus to social anxiety disorder and the ways in which that mental illness interacts with individuals’ experiences with leisure. Given leisure’s important role in helping individuals meet a range of needs they have (e.g., to connect with others, to feel a sense of belonging, to be physically active, to develop new skills) and potential offer a variety of positive outcomes as a result of those needs being met, understanding more about how individuals with social anxiety disorder may experience leisure opportunities and spaces is a first step in supporting those individuals in having meaningful leisure lives. Individuals with social anxiety perceive and/or experience social environments and social situations as opportunities in which they may be judged by others and are fearful that they will behave in a way that will result in being shamed, made fun of, or humiliated (Anxiety and Depression Association of America; Canadian Association of Mental Health). This fear is particularly strong when the individual is in a situation that requires them to perform such as the requirement to speak publicly as part of a theatre performance or to sing in front of others. The peak age of onset of social anxiety disorder is 15 (Lecrubier et al., 2000). Quite simply, for those who worry about being scrutinized in social situations, social recreation and sport and real-life recreation (as opposed to online leisure such as gaming) can be a challenging. Anxiety Canada identifies a number of ways in which social anxiety disorder can affect recreational activities including that the individual may avoid trying new things, avoid taking classes or lessons, and/or avoid activities that involve interacting with others (e.g., going to the gym, attending a family or community event). Many individuals actively work at taking risks (related to being scrutinized or embarrassed), naturally exposing themselves to situations they fear (e.g., going to the gym), and participating in recreation (Hirsch & Clark, 2004). However, these experiences are not always easy or comfortable or satisfying. In some cases, taking these risks and living outside their comfort zone is part of steps they are taking to managing and overcome their social anxiety (Lorian & Grisham, 2010). As a final point, when friends or family do not understand social anxiety or how to support someone who lives with social anxiety, the individuals with social anxiety disorder may be overlooked or purposely excluded from leisure or recreation experiences (e.g., “I didn’t invite you because I know you have social anxiety”; “You did not seem like you enjoyed yourself so I didn’t think you’d want to do it again”). Being excluded can reinforce some of the negative judgements they have about themselves (e.g., “I’m not interesting”, “I said something stupid last time I was there”) and furthers the stigma associated with mental illness. Many individuals with social anxiety seek professional help (e.g., cognitive behavioural therapy) and actively work at managing their mental illness. There are also ways in which recreation and sport can reduce symptoms of social anxiety and ways in which those in recreation or leisure settings (be they coaches or recreation leaders or a friend) can be supportive of these who are working at overcoming social anxiety. 1..Cultivating positive emotions. Often, social anxiety disorder makes it difficult for individuals to form relationships. Taylor, Pearlstein, and Stein (2017) found that positive emotions play a key role in forming relationships. Therefore, if recreation or sport experiences are designed or implemented in a way that cultivates positive emotions, it can help people with social anxiety disorder to form more social relationships. For example, are there experiences in one’s community or groups that are focused on having fun as opposed to perfecting a skill? Do leaders in programs that do involve instruction think about how to deliver feedback in a way that might encourage rather than embarrass participants and consistently practice this? Because individuals with social anxiety disorder are affected by the actions of those around them, are there opportunities for individuals to engage in programs or services where expectations of being welcoming, kind, or encouraging are set and monitored (e.g., team sport – we will not call out others’ mistakes)? 2. Understanding recreation and sport experiences can buffer social anxiety. Research suggests involving children in team sport early on in their life (while in primary school) can help them develop social skills and comfort with social situations that results in them experiencing fewer social anxiety symptoms (Dimech & Seiler, 2011). Research with adolescents has found that experiences with participation in individual sport (as opposed to team sport) may decrease symptoms of social anxiety (Ashdown-Franks, Sabiston, Solomon-Krakus, & O’Loughlin, 2017). Various extracurricular activities allow children and adolescents to develop social interaction skills, to practice these skills, and to build resilience in the face of negative evaluation (White, Bennie, & McKenna, 2015). 3. Being compassionate and thoughtful. Developing an understanding of social anxiety is important in being a good friend to someone with this disorder. Taking a friend with social anxiety along to an event, and then running off to chat with some familiar faces before your friend has become comfortable will likely elevate his/her fear and anxiety. Individuals with social anxiety do want to be invited and included. Consider introducing your friend to a few people who he/she might have things in common with and help make some connections (e.g., “you both love to camp”) to get the conversation rolling. If your friend decides to get him/herself to the event rather than accept your request to pick him/her up, understand that this can be an effective coping strategy for your friend as he/she enters a new, unfamiliar social setting. If he/she takes control of transportation, he/she may also feel more in control about how long to stay. You may want to go to the event for 4 hours, he/she may want to try an hour or two. For leaders, consider how you might “break the ice” for those who are new to a group or activity. Are there ways to help participants identify areas of commonality that might support them in more easily beginning a conversation? If it is evident that a couple of friends come together to a program and you need to divide people into groups, can you be thoughtful about the reason the two friends came together and whether it is necessary to separate them (or ask – “is it okay if I put you two in different groups”)? These small shifts in thinking – recognizing that someone in your program may live with social anxiety – could make a real difference in their participation and experience. Take time to learn about mental illnesses, consider the aspects of individuals’ lives that mental illness affects, and think about what role you can play in ending the stigma and being inclusive. Ashdown-Franks, G., Sabiston, C. M., Solomon-Krakus, S., & O’Loughlin, J. L. (2017). Sport participation in high school and anxiety symptoms in young adulthood. Mental Health and Physical Activity, 12, 19-24. Dimech, A. S., & Seiler, R. (2011). Extra-curricular sport participation: A potential buffer against social anxiety symptoms in primary school children. Psychology of Sport and Exercise, 12(4), 347-354. Hirsch, C. R. & Clark, D. M. (2004). Information-processing bias in social phobia. Clinical Psychology Review, 24, 799–825. Lecrubier, Y., Wittchen, H. U., Faravelli, C., Bobes, J., Patel, A., & Knapp, M. (2000). A European perspective on social anxiety disorder. European Psychiatry, 15, 5-16. Lorian, C. N., & Grisham, J. R. (2010). The safety bias: Risk-avoidance and social anxiety pathology. Behaviour Change, 27(1), 29-41. Taylor, C. T., Pearlstein, S. L., & Stein, M. B. (2017). The affective tie that binds: Examining the contribution of positive emotions and anxiety to relationship formation in social anxiety disorder. Journal of Anxiety Disorders, 49(1), 21-30. White, R. L., Bennie, A., & McKenna, J. (2015). Resilience in youth sport: A qualitative investigation of gymnastics coach and athlete perceptions. International Journal of Sports Science and Coaching, 10(2-3), 379-394. On this Saturday morning, after enduring a wet, rainy visit to our local Farmers Market to get some of my favorite things, I sat down with my raspberry scone and tuned into a cable news station to see if there were any updates on some of the terror activities that I had seen reported over the last couple of days. Arguably, this is not the best way to start the day, but it was what I chose this morning. The first story that I saw, though, was nothing I expected. The story was related to the events in Charlottesville, VA earlier in the week. It was a report of a white man sharing with film maker, CJ Hunt, last Saturday that he was not a white supremacist, but that he was participating in the white supremacist march “for fun”. He said, “To be honest, I love to be offensive. It’s fun” (report on this story can be found here). I was shocked. I was shocked for many reasons, but perhaps, as a leisure scholar, I was shocked about how his young man experienced fun. In the second year of my Recreation Management degree (many moons ago), I had a course in Leisure Behaviour with Dr. Brenda Robertson. It was in her class that I was first challenged to think about and acknowledge the dark side of contemporary leisure and the idea that people engage in criminal activities for fun. Her dissertation work (Robertson, 1994) had examined why young men engaged in delinquent activities for fun, thrills, and excitement. While there are several theories to explain why individuals engage in criminal behaviour, one of the things I learned from her sharing the narratives of her study participants was that they engaged in delinquent activities to meet many of the same needs that I and others seek to meet during leisure. Some were looking for a challenge or to accomplish something. Others were wanting to feel a sense of belonging, relieve boredom, get an adrenaline rush, and to have fun. I could relate to each of these needs because at one point in time, I had also chosen activities during my leisure time to meet these same needs. I, however, had chosen socially acceptable activities. This morning, I realized that marching with white supremacists (when you claim not to be a white supremacist) and being offensive is another way to experience fun – for at least one person. I also realized that despite studying leisure for over 20 years, I still have so much more to learn about how people use their free time and what they consider to be “fun.” Perhaps, given my understanding that individuals engage in delinquent activities for fun, I should not have been shocked by what this young man said. Marching with white supremacists is considered by most in North American society to be delinquent. Why would this be any different from any other delinquent activity that an individual might engage in for fun? But, I was shocked nonetheless. Maybe this reflects my bias against engaging in offensive behaviour as fun. Dr. Robertson’s work has highlighted the importance of leisure education in helping individuals develop the values, attitudes, skills, and interests so that they can identity and engage in socially acceptable activities to meet their needs (Robertson, 2000; 2001). If this event of last Saturday had happened when I was taking her course, I imagine that she would have presented our class with the plethora of activities one could choose to engage in in Charlottesville, VA and ask, “Why…when you could go to any number of museums, historic sites, wineries, parks, restaurants, and recreation facilities; when you could bike Walnut Creek park, check out the city market, experience a themed mystery in the Cville Escape Room, or ride over the Blue Ridge Mountains in a hot air balloon….why would you choose being offensive as your way to have fun?” I don’t know why this particular individual made this choice. Perhaps he lacks values related to engaging in socially appropriate activities during leisure. Perhaps his leisure repertoire is limited – he doesn’t have the skills to engage in many socially acceptable activities. Maybe he had no money for any of the above mentioned activities and could not think of other free or low-cost ways of having fun (e.g., read a book, take a nature walk). Perhaps he doesn’t have peers to engage in socially appropriate leisure activities with. Maybe he hasn’t developed interests in any of the activities that are available to him (e.g., no interest in history, nature, the market). Although I don’t know what exactly drew this individual to meet his need for fun through marching alongside white supremacists, it seems that he and others who may have participated for a similar reason could benefit from some reflection of other ways to have fun. He did seem to stop having fun when the counter protestors approached him. Maybe he had not thought through all the consequences of this “fun” activity. Perhaps I’m most bothered by the idea that being offensive is “fun”. Fun for who? Fun for how long? And fun at whose expense? Are there limits to what we, as a society, consider to be acceptable offensive behaviour? I do wonder if consuming offensive entertainment (e.g., comedy, television, movies, video games) has supported a desensitization that has resulted or could result in some individuals moving from having fun while consuming offensive entertainment to engaging in offensive behaviour for fun. Do the activities we engage in during leisure and experience as fun influence how we conceptualize “fun” and how we might seek to meet that need? I would argue yes – when we have fun doing something, we consider that experience positive and are more likely to see to have it again. Some research has suggested that youth who view bullying as “fun” are more likely to engage in bullying behaviours (Van Goethem, Scholte, & Wiers, 2010) – an example of how our attitudes can influence our behaviour. In my research and teaching, I always had opportunities acknowledge the detrimental outcomes of some leisure behaviour (e.g., sedentary leisure, criminal behaviour), to explain that not all leisure experiences are positive, and to emphasize that some leisure can indeed oppress or exclude. However, I also focus on the power of leisure to make a positive impact – on one’s self and on one’s community and have seen that leisure time and activities can support positive youth development, be transformative, help individuals cope, be a site for equity and inclusion, and strengthen family relationships. So, perhaps this is why I find it disheartening to see someone getting media attention for using their leisure time to offend others, to participate in the promotion of hate, and to hear that the individual perceived that his participation would be fun. I believe the idea that this kind of being can be fun, needs to be challenged. Robertson, B. J. (1994). An investigation of the leisure in the lives of adolescents who engage in delinquent behavior for fun, thrills, and excitement. Dissertation, University of Oregon, Eugene, OR. Robertson, B. J. (2001). The leisure education of incarcerated youth. World Leisure Journal, 43(1), 20-29. Van Goethem, A. A. J., Scholte, R. H. J., & Wiers, R. W. (2010). Explicit- and implicit bullying attitudes in relation to bullying behavior. Journal of Abnormal Child Psychology, 38, 829–842. With spring behind us and our eye on summer, thoughts often turn to vacation. For some, vacations are routine and/or are based in tradition. This could include weekends at the cottage or a nearby campsite. Vacations sometimes revolve around a week or two at the same time every year to the same place. Or, perhaps vacations are novel experiences each year. Unfortunately, it appears that many North Americans do not take vacation and that portable technology has made it more difficult for us to be fully engaged during our vacation. Growing up, I had the privilege of experiencing two weeks of vacation at a rental in Nova Scotia near where my maternal grandparents lived. Our first trip there was around my sister’s first birthday (I was 4 and a half). My father, a lawyer, had a fairly stressful job and the idea was that getting away would be a chance for us to have focused time together as a family. Over the years since those summers away, our family has fondly reflected on our time at “Harbour View”. Our rented cottage did not have a phone (and in the 1970s and 1980s, there were no cell phones). My father used to say that one of the reasons we went to Harbour View was because if we did not leave town and get away from the phone, he would never be able to leave work behind. As I reflect back on my family’s vacation practices, I see the wisdom. It was an opportunity to detach. It was a time for rest, a time to relax, and a time to focus on family. I remember my father reading lots of books, playing tennis with my sister and I (once we were a little older), taking us to the on-site pool a couple of times a day, and playing catch and baseball with us in the field behind the cottage. He was noticeably more relaxed and humorous. Getting away was smart and the outcomes for him (and us as a family) were clear and significant enough that I remember them 35+ years later. In stark contrast to my father taking all his vacation each year, a number of studies have demonstrated that vacation time is not being used. Project: Time Off (2017), an American study, found that Americans used a half-day more vacation (16.8 days) in 2016 compared with 2015 (16.2 days). However, because more vacation time was earned, more vacation days were left on the table than the previous year. In Canada, the story is fairly similar. In 2015, on average, Canadians accrued 17 days vacation and took, on average, 15.5 days (Montgomery, 2015b). The 2010 Statistics Canada General Social Survey found that one third of Canadians took less than 10 days vacation and 19.3% took no paid vacation days at all (Hilbrecht & Smale, 2016) which is slightly better than the 23% who took no vacation days in the U.S. (Ray, Sanes, & Schmitt, 2013). In North America, “letting go” while on vacation and disconnecting is also a problem. For example, 57% of Canadians respond immediately to work-related email while on vacation (Montgomery, 2015a). One U.S. study of those working more than 50 hours a week found that 30% did a significant amount of work while on vacation. Personally, I struggle with taking big blocks of time for vacation and with using all my vacation days. At times I have wondered if it is, in part, a result of not having children. I’ve thought that maybe I’d be more inclined to recreate the kind of vacation experience I had as a kid for my own children or I would crave more intense, uninterrupted quality time that a vacation could provide. However, it seems that perhaps there is more in play that my lack of offspring, and it also seems that I’m not alone in leaving vacation days on the table. One of the reasons people struggle with taking vacation is the work norms that produce pressure to respond right away messages they receive through message-based technologies such as e-mail or text messages (Barber & Santuzzi, 2015). These pressures make it difficult to set physical and temporal boundaries that support the separation of work and leisure (Park, Fritz, & Jex, 2011). While personality characteristics (e.g., conscientiousness, extroversion) can contribute to this impulse to check and respond to work-related email, norms in the work environment are also to blame (Barber & Santuzzi, 2015). These norms are created in response to the demands of the job (and job overload). It can be created by employers who email their employees during non-work hours and by employees who respond to work messages during non-work hours (who may be keen to demonstrate their work ethic or present themselves as work martyrs; Ammar, Santuzzi, & Barber, 2016). When responding to messages during non-work hours becomes the norm, it makes it more difficult for employees to set boundaries that support detaching from work including during vacation. Feeling guilty or experiencing shame from co-workers when using the vacation time to which one is entitled is referred to as “vacation shame”. It seems that a younger generation of workers and women are more likely to experience this guilt or shame. A 2016 Alamo Family Vacation Survey found that 59 percent of Millennials and 41 percent of older employees feel a sense of shame when they take time off. And 25% of all women, compared with 20% of all men, reported that feelings of guilt about taking vacation held them back from using vacation time. These feelings may be a result, in part, of a lack of clear messaging about time off. In the Project: Time Off (2017) study, 66% of those surveyed felt their organization culture was ambivalent about, discouraged, or sent mixed messages about taking time off. When employee vacation time and the benefits that result are not valued, it may not be promoted or encouraged. Detaching from work is critical to the psychological and physical recovery process that allows us to go back to work and perform well (Fritz, Yankelevich, Zarubin, & Barger, 2010). Workplace telepressure and vacation shame make detaching more difficult and lead to employees not using all of their vacation time or not getting the optimal results from the vacation time they do take. The consequences are broad ranging. It is important to understand that there is a relationship between the amount of paid vacation taken and life satisfaction and also self-assessed health (Hilbrecht & Smale, 2016). More specifically, longer vacations were associated with “greater satisfaction with work–life balance, better mental health and reduced time pressure” (p. 49). One final point. Arguably, one of the reasons we take vacations is because they offer opportunities to create memories with friends or family. If you want to increase the chance that you can fondly reflect back and remember aspects of your vacation, paying attention to how long you are connected while you are on vacation is important. Vozza (2017) reported on one 2016 study that found using your smartphone to take pictures and finding things to do can help with remembering your vacation. However, those who are on their phones for two hours or more a day are 26% more likely to have trouble remembering the experiences you had while on your vacation. Using your device for work-related activities – even for an hour – can have an impact. Only 43% of people who were on their devices for work one hour or more per day remembered all the events on their vacation while 60% those who used them less than one hour were able to do so. And those who worked on their laptops recalled significantly fewer aspects of their vacation. If you have paid vacation, you are entitled to it. If you do not take it, you are essentially donating money back to your organization (Project: Time Off, 2017). You may also be placing your mental and physical health at greater risk and compromising your own productivity on the job. Not detaching from work while on vacation produces similar consequences, but can also have an impact on your family relationships. One has to wonder whether being a work martyr by not taking vacation or all your vacation and working/responding to messages while on vacation is worth these costs. Barber, L. K., & Santuzzi, A. M. (2015). Please respond ASAP: Workplace telepressure and employee recovery. Journal of Occupational Health Psychology, 20(2), 172-190. Fritz, C., Yankelevich, M., Zarubin, A., & Barger, P. (2010). Happy, healthy, and productive: the role of detachment from work during nonwork time. Journal of Applied Psychology, 95(5), 977-983. Hilbrecht, M., & Smale, B. (2016) The contribution of paid vacation time to wellbeing among employed Canadians. Leisure/Loisir, 40(1), 31-54. Hunter, E. M., Clark, M. A., & Carlson, D. S. (ahead of print, 2017). Violating Work-Family Boundaries: Reactions to Interruptions at Work and Home. Journal of Management, Doi: 0149206317702221. Montgomery, M. (2015a, July16). Vacations? Canadians need to let go but don’t. Radio Canada International. Montgomery, M. (2015b, October ). Canadians and their vacations. Radio Canada International. Center for Economic and Policy Research. an integrative framework. Journal of Organizational Behavior, 36(1 ), 72-103. Vozza, S. (2017, June 2). What happens to your brain when you work on vacation. Fast Company. I recently came across an news article sharing research that people who are busy are perceived as having higher social status. This was not particularly surprising and yet, as someone who studies leisure, I found this quite disappointing. In searching out the research, I found the news article to be a bit deceptive. In one of the studies supporting the research, participants were given a couple of conditions. “In one condition [it] read, ‘Jeff works long hours and his calendar is always full.’ In contrast, participants in the other condition [it] read, ‘Jeff does not work and has a leisurely lifestyle'” (Bellezza, Paharia, & Keinan, 2016b, p. 3). After reading these two scenarios, participants rated Jeff’s social status. Working long hours got the higher social status. I found the comparison used a bit problematic. I think there may be more to our perceptions of the difference between working long hours and not working at all. Is Jeff rich, retired, or unemployed? Without knowing why Jeff is leading a leisurely lifestyle, it is difficult to know how study participants decided to give the busy Jeff higher social status. In another study supporting the authors’ research (Bellezza, Paharia, & Keinan, 2016b), individuals wearing a Bluetooth device were seen as having higher status than individuals wearing headphones (which could represent someone listening to music). In the third study, the authors had participants read two sets of Facebook posts. In on set, the statuses included statements such as “Oh, I have been working non-stop all week!” and “Quick 10 minute lunch”. In the other set of Facebook posts, the statements were “I haven’t worked much this week, had lots of free time” and “Enjoying a long lunch break.” The individual working non-stop and took a quick lunch was assigned a higher status than the other individual. What contributes to busy being more highly valued? One of the reasons that busyness may be linked to status is because of the development of “knowledge-intensive economies” (Bellezza, Paharia, & Keinan, 2016a) in which human capital characteristics such as competence and ambition are highly valued and in high demand. In this kind of economy, telling others that we are busy – that we are working long hours with little leisure time – helps create a perception that our human capital characteristics are in high demand and that we are a scare resource. Scarcity contributes to perceived value. So, apparently you increase your economic value, and therefore your status, when you are able to cram more work into a day than someone else (Racco, 2017; Wasik, 2013) or are willing to sacrifice leisure or sleep for work. It is interesting to me that being busy is not seen as someone having taken on too many tasks/roles or as a lack of efficiency in completing tasks/carrying out roles. To me, “busy” could just as easily signal a miscalculation of one’s capacity or be a sign that someone has not organized his/her workload in a way that is effective. But, it seems that we may not think critically about what might be behind someone’s “busyness”. There also seems to be a clear undervaluing of leisure and its important role in our life. Busyness may be a way to climb the social ladder, but it also something most of us choose. It is a self-inflicted disease that contributes to anxiety, heartburn, fatigue, weight gain, and insomnia (Kovan, 2013; Richards, 2015). Another consequence of busyness disease (BD) is not having time for more authentic, vulnerable relationships (Richards, 2015) which, arguably, are more worthwhile and important than working more hours (assuming enough income is earned through fewer hours to meet needs). Certainly, there are times when we are necessarily busy. Life is just like that sometimes. However, as Kovan (2013) points out, sometimes people cause themselves more harm than good by voluntarily taking on extra, unnecessary activities that make their lives more busy. She argues that, for some, these choices are made to boost the ego and to avoid feelings of emptiness. One of the most significant outcomes of being busy, from my perspective, is that we loose out on leisure. We miss opportunities to engage in things we are interested in, to explore new interests, to meet new people who share our passions, and to experience joy and greater life satisfaction. What is needed to resist busy? As I read these articles, I reflected on what is required for someone to resist aspiring to a busy and overworked lifestyle and viewing it as a status symbol. Valuing of leisure. Leisure needs to be valued. Because I’m fairly leisure literate, I understand the value that leisure has in my life and I suspect others who prioritize leisure hold similar values. I am aware of how I benefit from the leisure activities I enjoy and I appreciate potential benefits of activities that I could try or enjoy. That doesn’t mean that people who value leisure are not busy or don’t experience periods when they are “crazy busy,” but when leisure is valued, you are more likely to make choices that support you being able to engage in it. Taking responsibility for how time is spent. At times when I have had the opportunity to work with people who were looking to make changes to their individual or family leisure, I have found that people resist the idea that they are responsible for their leisure. Rather than claiming responsibility for choosing a demanding career, choosing to put children in multiple activities that place incredible demands on time, or choosing to bake 500 cookies at Christmas-time for a cookie exchange, people often blame others. “You have to have your kids in everything these days.” Actually, you do not. “I have to work long hours if I want to get promoted.” Maybe, but acknowledge that you want to get promoted and what that decision means for your leisure time. It is difficult to resist “busy” or to say “no” to things that will make you unnecessarily busy if you cannot acknowledge that you have control over what you do with your time. Becoming clear on priorities. It is important to be clear on your priorities and the order in which they come. If your partner, family, or friends are important, how is time spent with them? Is the time and quality of that time spent on your top priorities disproportionate to the extra time spent on things that are lower priorities (e.g., work)? Priorities change and it is important to recognize when and how they change. Avoid the ‘busy’ language. If you are interested in helping resist “busy” becoming something people aspire to or are impressed by, I encourage you not to spread it. I have recently noticed that when students email me for help or stop by my office, they often start with, “I know you are busy…”. As I’ve noticed this pattern, I’ve reflected on what I’ve said or done to make my students feel that their request or presence might be viewed as a disruption. Or, is it just an atmosphere we create at my university (or in society) where everyone is “busy”? I try to reassure students that they are not a bother and that I have time for them. I also try to catch myself when I hear myself say that “I’m busy,” and try to follow it with, “It’s my own fault.” I often underestimate how much work things will be (my processes are sometimes slow). I try to learn from my experiences, but I often find this challenging as I get presented with new opportunities and have no idea what will truly be involved or how long the tasks will take me. And sometimes, I just make bad choices about my workload and things are temporarily quite frantic – a consequence of my own doing. Avoiding “busy” is a work in progress, but I have consistently worked at not being impressed by either my own busyness or the busyness of others. If “busy” is indeed something that impresses people and is assigned higher social status by others in society, our leisure and indeed our happiness and life satisfaction is threatened. Perhaps there is a need to emphasize the research that demonstrates how leisure benefits human capital (e.g., people are less stressed, more productive, and happier) and that being “busy” is not really something to which we should be aspiring. Bellezza, S., Paharia, N., & Keinan, A. (2016b). Why Americans are so impressed by busyness. Harvard Business Review. Racco, M. (2017, March 30). “The cult of busyness: How being busy became a status symbol,” Global News. Richards, K. (2015). The disease of ‘busyness’. Nursing Economics, 33(2), 117-119. Wasik, John F. (2013, February 12), “The Biggest Financial Asset in Your Portfolio Is You,” New York Times, F7. 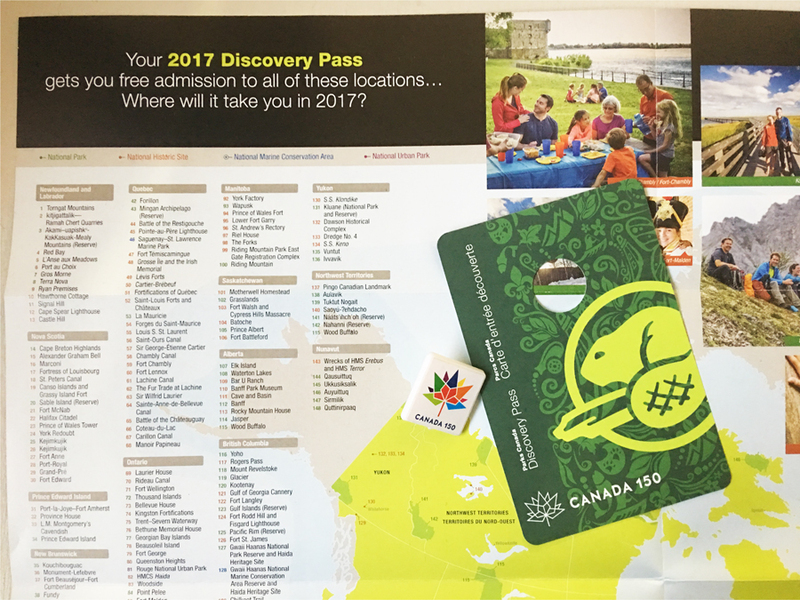 Will the Free Parks Canada Discovery Pass Increase Your Visits to National Parks and Heritage Sites in 2017? Two weeks ago I received my free Parks Canada season admission pass in the mail. It is the first time I have ever had such a pass and I will admit that the main reason I got one was because it was free. In celebration of Canada’s 150th birthday, admission to Parks Canada national parks, national historic sites, and national marine conservation areas is free for 2017. It is interesting to me how the free pass and the publicity about it (e.g., news stories of the website being overwhelmed with requests for passes; friends posting pictures with their passes on social media) prompted me to shift my thinking about my Parks Canada visitation habits. We live more than 2 hours from the closest Parks Canada national park or historic site. When I do get to visit, it is usually once or maybe twice during the summer months and I tend to visit as part of a vacation to Prince Edward Island. As a result, I have never considered getting a park pass (general rule of them is you need to visit 7 days for a pass to be worthwhile). However, granted the opportunity to get one for free, I found myself interested in making use of this opportunity. The pass is appropriately labelled as a “Discovery Pass” and this is most likely how I will use it – as a chance to “discover” parks. Since receiving my pass and brochure, I’ve been reading about some parks – both within and outside my province – for the first time and making plans to try to visit at least 4 this summer. In Canada, there was been a decline of park visitors. In 1988/1989, parks saw 0.46 visits per capita and in 2008/2009 this had decreased to 0.36 visits per capita (Shultis & More, 2011). A look at Parks Canada’s most recent data suggests that park visitor statistics have remained stable through to 2014 when there was an increase in per capita visits in 2014/2015 to 0.38 and in 2015/2016 there were 0.40 visits per capita. These increases are encouraging, but Parks Canada has recognized that it is “faced with the challenge of remaining relevant to Canadians, particularly in some of Canada’s largest cities. Changing demographics, which contribute to shifting leisure and tourism patterns, have had an impact on visitation to Parks Canada heritage places” (Parks Canada, 2016, p. 16). Parks Canada, similar to other agencies in North America that provide park services, seems to understand that its viability may depend on becoming relevant to groups who have historically not made greater use of Parks Canada’s programs and services (Scott & Mowen, 2010). Park fees. Sometimes cost is identified as a barrier to participation in activities and experiences, and this can be especially true if you are unsure what the experience will be like. 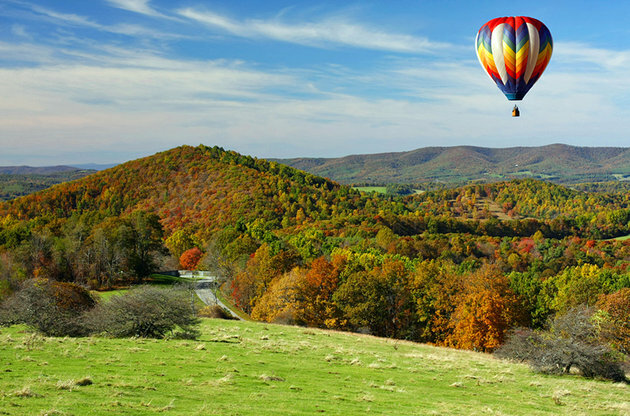 What benefits might you get from visiting a park? Will a park experience will meet your needs – for adventure, for solitude, for learning something new? By making admission to Parks Canada national parks and heritage sites free, this barrier to exploring an opportunity has been eliminated. The current government has further committed to making a trip to the park more affordable for families beyond 2017. Beginning in 2018, admission will be free for children under 18 (Trudeau, n.d.). That cost reduction may be relatively insignificant (~$10 for a family with 2 children under 18) when factoring in the cost of travelling to a national park, the cost of equipment needed to have a camping experience, or the cost of feeding the family while visiting or camping. To me, dropping the cost sends a message about the importance of engaging children in nature and developing their interest in the outdoors and in the protection and conservation of our natural environment. It also seems to be a response to Parks Canada’s (2016) awareness that youth are under-represented among those who visit their parks and heritage sites. It will be interesting to see what, if any, impact the elimination of a fee for children under 18 along with the development of more technology-based interpretive programs (Parks Canada, 2016) will have. Will more school groups or summer camp programs near national parks consider visiting now knowing that there will be no cost for their young participants and activities may better hold youth’s interest? Is it possible that a $10 savings for a family with two children will reduce cost as a perceived barrier? Will there be greater usage by larger families with three or four children? It will be interesting to see the statistics on visitor use for 2017 and beyond for this age group. Engaging immigrant families. Parks Canada (2016) notes that 1 in 5 Canadians is foreign born. The report also explains that new Canadians are under-represented in Parks Canada’s visitor base. In an effort to engage immigrant families’ engagement with parks, starting in 2018, new Canadian citizens will also receive free admission for one year. Parks Canada also plans to “undertake focussed awareness, promotion and media initiatives particularly in the key metropolitan areas of Montreal, Toronto and Vancouver where large segments of new Canadians live” (p. 40). Knowledge and skill development. The minister responsible for parks has also been mandated to “ensure that more low- and middle-income families have an opportunity to experience Canada’s outdoors” (para. 26) through an expanded Learn to Camp program. This particular priority appears to recognize that in addition to reducing fees to decrease barriers to park use, lower-income families need support in developing the knowledge and skills to engage in enjoyable park experiences (Zanon, Doucouliagos, Hall,& Lockstone-Binney, 2013). But it does seem that Parks Canada is trying to do both. It is seeking to increase the usage of parks by helping people to develop the knowledge and skill to get out and camp and enjoy national parks. It is recognizing there are demands for more diverse accommodations. For example, Fundy National Park in New Brunswick offers campsites, cabins, yurts, and oTENTik (which, Parks Canada explains is a “spacious blend of tent and rustic cabin equipped with beds and furniture on a raised floor”). Parks Canada has recognized the need to offer amenities that other tourism sites are offering and that potential visitors are demanding (e.g., Wi-Fi). Once Canadians become park visitors, then there are opportunities for educating them about ecology and heritage. As a researcher and as a Canadian, I am curious about what the impact of this initiative in celebration of Canada’s 150 birthday will be. In theory, the free pass should reduce a couple of the perceived barriers to visiting Parks Canada’s parks and heritage sites by lessening the cost and therefore the risk of trying something new. The increased buzz about parks may generate greater interest and curiosity. Canadians may want to participate in the initiative as a way of being patriotic or expressing/ participating in part of the Canadian identity. Hopefully parks and heritage sites are not so busy this year that it has a negative impact on the experiences of visitors! Scott, D., & Mowen, A. J. (2010). Alleviating park visitation constraints through agency facilitation strategies. Journal of Leisure Research, 42(4), 535-550. Shultis, J., & More, T. (2011). American and Canadian national park agency responses to declining visitation. Journal of Leisure Research, 43(1), 110-132. Zanon, D., Doucouliagos, C., Hall, J., & Lockstone-Binney, L. (2013). Constraints to park visitation: A meta-analysis of North American studies. Leisure Sciences, 35(5), 475-493. The Nonconscious Mind: Helping or Hindering Physically Active Leisure? My passion for understanding leisure behaviour means that I devote most of my research activities and academic reading attention to investigating and evaluating reasons why people do what they do during their leisure time. A few months ago, I came across an article written by a the social psychologists in our field (Seppo Iso-Ahola) that prompted me to think in a new way about the why we do what we do during our leisure time, or perhaps more accurately, why we do not do the things during our leisure time that might offer us the most satisfaction. Specifically, Iso-Ahola (2015) brought together research to discuss the role of the conscious and nonconscious mind in leisure behaviour. Iso-Ahola (2015) set the stage for his discussion by wondering, quite simply, why some people spend 5 hours a day watching television – an activity research has found to leave people depleted and in the same or worse mood state than before they started watching (Kubey & Csikszentmihalyi, 2002) while others are more active or engaged in challenging activities – which research indicates provides people with the most enjoyment from (Abuhamdeh & Csikszentmihalyi, 2012) during their available leisure time. He offers two possible explanations for why people do what they do: “(1) people are rational thinkers who carefully deliberate over choices and finally opt for what they think is best for them; they are cognitive decision-makers in accord with “slow” thinking. (2) Alternatively, their behavioral engagement is driven by automatic processes prompted nonconsciously by situational cues” (p. 299). at a given time. Therefore, our impulses or fast thinking has roots in our everyday social lives and the stimulus cues in our environment. The default system of fast thinking leads us toward choosing the easier or less straining leisure activities. This, then, can hinder us from choosing demanding behaviours like exercise especially when it is not part of our routine. But, the conscious, slow-thinking mind can still exert strong influence and even override the nonconscious mind (Baumeister, Masicampo, & Vohs, 2011). However, given the low rates of participation in physical activity and sport, there are clearly some challenges in activating the conscious, slow-thinking mind to engage in the more demanding leisure behaviour or exercise. I found the research related to self-control resources to be particularly insightful in understanding this further. Iso-Ahola (2015) explains that for many people work can be cognitively and/or physically straining or demanding. At work, we exert self-control throughout the day (e.g., focus on tasks, attend meeting we may not wish to; continue with a repetitive task that may bore or tire us; respond politely to rude customers). Work tasks that demand we exercise self-control can use up or deplete our limited self-control resources. This means we have few resources to resist the temptation of non-demanding activities when we get home and have opportunities for leisure. The depleted self-control resources plus the stimulus-cues such as television sets lead to the triggering of our nonconscious impulses that direct our behaviour – we sit and watch television. Other behaviours such as going for a walk or a fitness class or working on a challenging DIY project demand physical or cognitive effort and deliberate thinking. Simple behaviours (watching TV) become driven by the nonconscious mind. More complex behaviours (going to a fitness class), require the drive of the conscious mind. Another perspective related to the notion of self-control is that leisure does not require us to self-regulate in the way that work and other demanding daily life tasks may. Therefore, once we have completed demanding tasks that required self-control, we feel justified in relaxing or rewarding ourselves (Inzlicht & Schmeichel, 2012). There is a motivational shift away from regulation and self-control toward gratification instead. The question for me, then, became: Can more challenging leisure activities that could potentially be more satisfying and beneficial be regulated or routinized by situational cues (in the same way TV sets act as situational cues)? Research has suggested that conscious priming is needed to modify most complex behaviours, but that this is particularly the case with exercise behaviours (Iso-Ahola & Miller, 2016). Situational cues (like your pair of sneakers) can drive more demanding behaviour, but only after the behaviour has been repeated over a long period of time (Iso-Ahola, 2015). Nonconscious priming can occur after years of repeated performance, in part, because a habit has formed. Prior to something becoming a habit, the behaviour requires and benefits from conscious priming. One strategy for conscious priming is having individuals self-affirm their core values and goals related to complex behaviours. This has been effective in countering self-regulatory exhaustion (ego depletion) and failures to engage in the demanding behaviour (Inzlicht & Schmeichel, 2012). For example, if one of your overarching goals is to be healthy and fit and you are highly committed to that goal, priming that goal (e.g., reminding yourself; writing about it) may shield you from conflicting goals (e.g., to relax) that may interfere with you engaging in your physical activity behaviour. The idea that we experience a depletion in self-control resources after a work day resonated with me. My work is mentally demanding. At the end of the day, I often sink into the couch and turn on the TV. I then begin engaging in the “should” game – “I should clean the house,” “I should go for a walk,” and “I should read or knit or do anything but watch TV”. The “should-ing” is followed by the rationalizations to resolve the dissonance: “I deserve/need to relax”. And, as Iso-Ahola (2015) suggests, I frequently am successful in weaken any bit of motivation or commitment I had to more complex, demanding leisure behaviours. I decided to experiment with the notion of depleted resources a little bit. What would happen if I made the decision to engage in physical activity before the work day started. Clearly, this is not a novel idea – many, many people do this. However, I wanted to implement this based on this new information I had that helped me understand why leaving exercising until the end of day resulted in my irregular involvement. As an adult, exercise has been neither a habit nor a simple behaviour. Therefore, engaging in physical activity takes conscious, deliberate thinking – something, according to Iso-Ahola (2015), I would theoretically have more resources for before I engaged in a full work day. Anecdotally, after a month of experimenting with this, I have found that I have the mental energy to convince myself to head to the treadmill first thing in the morning. Hardly scientific research, but I found it personally interesting how this one change was able to help me engage, more regularly, in a demanding leisure behaviour. The research related to priming has suggested that writing your physical activity goals regularly or writing about what physical activity means in your life can help prime the behaviour (Inzlicht & Schmeichel, 2012). Therefore, it is possible that journaling about exercise could be effective – even writing a sentence or two each day about goals could activate awareness and conscious thinking. Something else to try if you need to activate your conscious, slow thinking mind. It seems that the nonconscious mind can be help us to engage in demanding leisure activities such as physical activity…if that behaviour is a habit and part of our routine. Prior to it becoming a habit, it is a behaviour that requires us to activate our conscious mind. That may be easier to do prior to a long work day or it could be supported by setting goals and reminding oneself of the goals (e.g., to be physically active 4 times a week for 60 minutes) and how those goals relate to one’s core values (e.g., being healthy). Abuhamdeh, S., & Csikszentmihalyi, M. (2012). The importance of challenge for the enjoyment, of intrinsically motivated, goal directed activities. Personality and Social Psychology Bulletin, 38(3), 317–330. Bargh, J. A., & Morsella, E. (2008). The unconscious mind. Perspectives on Psychological Science, 3, 73–79. Baumeister, R. F., Masicampo, E., & Vohs, K. (2011). Do conscious thoughts cause behavior? Annual Review of Psychology, 62, 331–361. Inzlicht, M., & Schmeichel, B. J. (2012). What is ego depletion? Toward a mechanistic revision of the resource model of self-control. Perspectives on Psychological Science, 7(5), 450-463. Iso-Ahola, S. (2013). Exercise: Why it is a challenge for both the nonconscious and conscious mind. Review of General Psychology, 17, 93–110. Iso-Ahola, S. E. (2015). Conscious versus nonconscious mind and leisure. Leisure Sciences, 37(4), 289-310. Iso-Ahola, S. E., & Miller, M. W. (2016). Contextual priming of a complex behavior: Exercise. Psychology of Consciousness: Theory, Research, and Practice, 3(3), 258-269. Kahneman, D. (2011). Thinking fast and slow. New York, NY: Farrer, Straus, and Girox. Kubey, R., & Csikszentmihalyi, M. (2002). Television addiction. Scientific American, 286(2), 74-81.